Cyprus Property Blog by Cleo : Prime Location in Coral Bay - Fantastic Villa with many Extras! 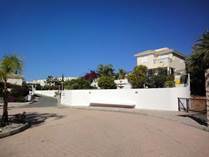 Coral Bay, Paphos - This impressive 3 storey detached villa in Coral Bay is located in an absolute prime location. Situated in a gated community a few minutes’ walk from the sea and local shops/restaurants, it is ideal as a luxury holiday home, rental investment or permanent residence. A long wide gated driveway to the side of the property provides lots of parking and leisure space. Steps lead up from here to a paved terrace and the front entrance. The split level living accommodation features an entrance hallway, guest cloakroom, well equipped kitchen with breakfast bar, formal dining area and a comfortable lounge. Huge patio windows provide lots of light and easy access to the outside veranda and pool terrace. On the first floor there are 3 double size bedrooms all with fitted wardrobes. The master bedroom has an en-suite shower room, and there is a large family size bathroom accessed directly from the landing. The master and second bedroom have patio windows opening on to a balcony with stunning sea and coastal views. Moving down to the basement, there is a huge area which is nicely arranged as a large bedroom and separate sitting room. Patio windows, together with an access door, open on to the lower outside patio. A hallway leads to a utility room, shower room, and a second very large bedroom also with patio windows.